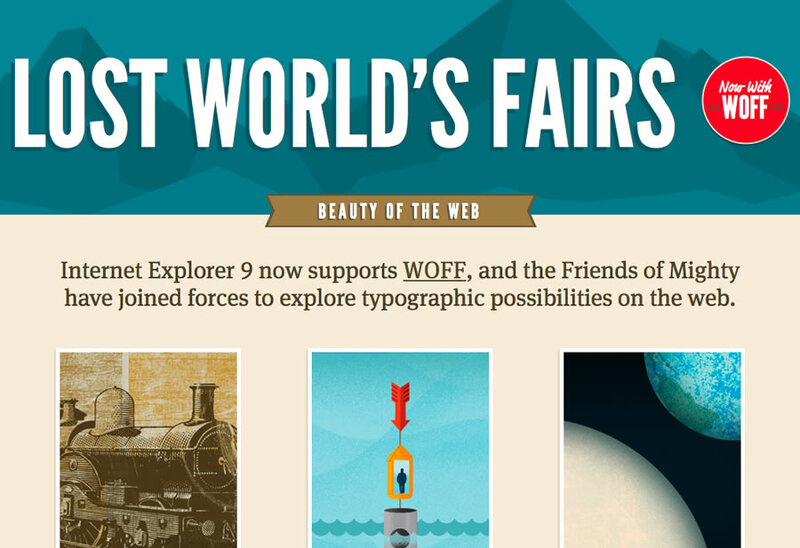 If you haven’t already, I implore you to take a look at the fantastic new site, Lost World’s Fairs, by an all-star crew of dot-commers going by Friends of Mighty. My favorite right now is Atlantis by Frank Chimero but they’re all great in their own ways. The site itself is slightly nerd-eriffic in the fact that it’s mainly set up to show what can be done with text on the web as well as show that Microsoft is starting to come around with their browser situation as well. All nerd-ery aside, the designs themselves are beautiful. Congrats to those involved that I know personally (Trent Walton & Dave Rupert) and to the others as well.